A rare stamp and a corpse are discovered in Bath within hours of each other. 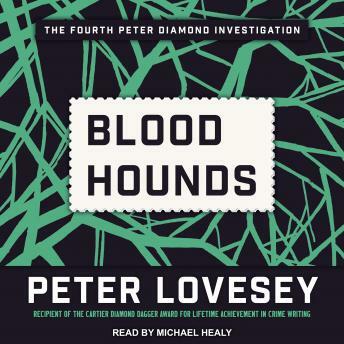 As he investigates, Inspector Peter Diamond discovers that both the person who found the stamp and the victim belong to the Bloodhounds, an elite group of mystery lovers, who now urge Diamond to bring the murderer to justice. But there's a hitch: the body lies inside a padlocked houseboat and the only key is in the pocket of a man with an airtight alibi.